Here are some resources for projects and exploration that you can do at home. Science is something we can do every day without even leaving our backyards. The Vermont Center for Eco Studies have a number of programs that need your help to make observations of Vermont wildlife and nature. The Loon Watch is a one day survey in July in which volunteers record data about loons in Vermont. This data allows scientists to better support the loon population in Vermont. The Vermont Atlas of Life is a database of observations from all over Vermont. By adding your observations you can help to discover new species as well and keep track of known species population in Vermont. This is real science, that records real data, which can be used in research by scientists all over Vermont. So go for a hike or just go explore your backyard and become a citizen scientist. For those rainy days why not spend the summer learning to code websites, apps, and games. Code.org offers fun game like tutorials which teach the basics of computer programming. 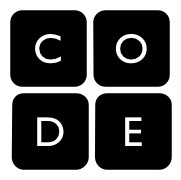 Another site to check out is Madewithcode.com which focuses on getting girls interested coding. If you want to get out of the house The Northeast Kingdom Astronomy Foundation has presentations and programs throughout the year on various topics in astronomy. 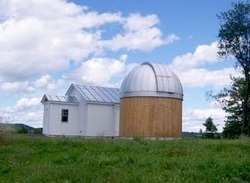 The Northern Skies Observatory in Peacham VT has star parties where visitors can tour the facility and look through telescopes at the stars. Bed Time Math in a program that thinks math should be as much a part of daily routines as reading and it should be fun. They have a daily math problem blog as well as an app that can give parents math problems to do with their children everyday of the week. Check out the book here at the library.